Even more artwork installations are happening on the Orange Line Extension, which is opening on June 30! A few photos of the 27-foot-long ellipse designed by Lisa Adams for the Chatsworth Station are below. More information about the artwork is available here. 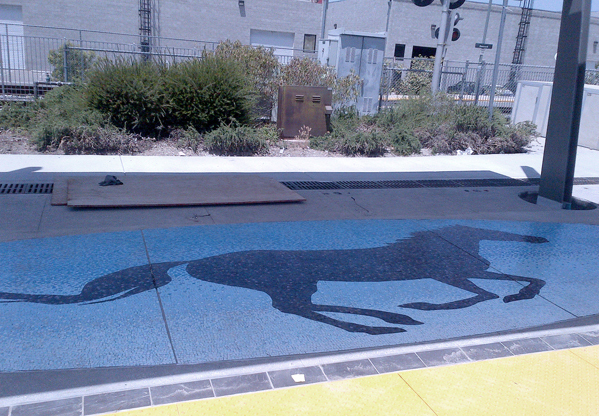 See images from the installations at Sherman Way, Canoga and Nordhoff Stations. 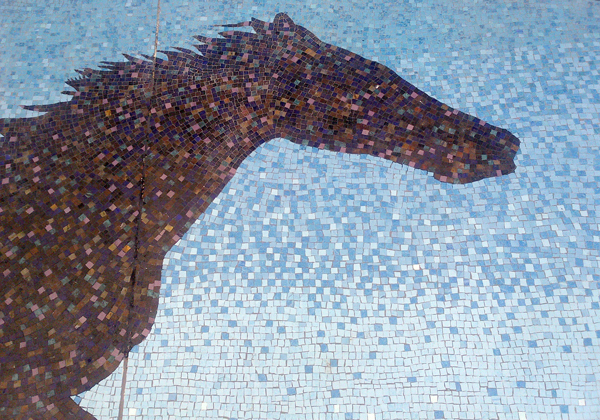 Twenty-seven foot long mosaic artwork is installed at Chatsworth Station. 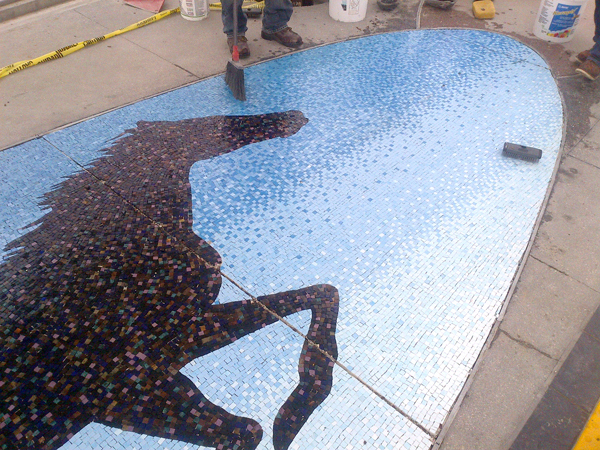 Workers have just applied grout in between thousands of tiny hand-cut mosaic pieces. 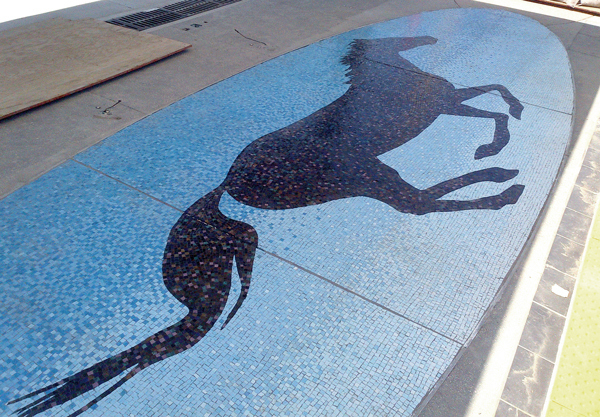 Twenty-seven foot long mosaic artwork is installed at Chatsworth Station. LOOKS GRATE. KEEP UP TE GOOD WORK. i think you guys should try RETRO LOOKS TOO OR VINTAGE PATTERNS. That must be over 9,000 tiles! Another new stimulating art installation by Lisa!